If you’re compiling a recovery boot disc then you need to be choosing the right utilities to keep on it. These utilities might be hard disk recovery tools or anti-virus applications – but don’t forget the adware removal tools. While not as damaging as a virus, adware can nevertheless cause a lot of problems to anyone attempting to use their computer and expecting any level of performance from it. Adware tools can be used to remove spyware and adware, tracking software that is used to target browser ads at you, and even just monitoring tools used to compile data on an anonymous basis. Whatever the purpose of the adware, in most cases it is not wanted – which is why you should have some good removal tools at your disposal. When choosing software for a recovery disc, you need to make sure you’re going to choose the right applications. Some of these might be extremely obvious, but for situations when you want to make sure the target PC is completely clean of any adware and spyware, you should be choosing utilities that make a good “second sweep” – tools that will check places or have profiles that the others don’t. The secret to building a good portable boot CD is not to choose a single "perfect" utility for each problem but to select a core group of the top utilities for each problem. This way any new threats that come along that are designed to dodge a certain detection tool can be picked up by the others. Probably the most popular adware removal software is the free version of Ad-aware, ideal for adding to any portable recovery solution. 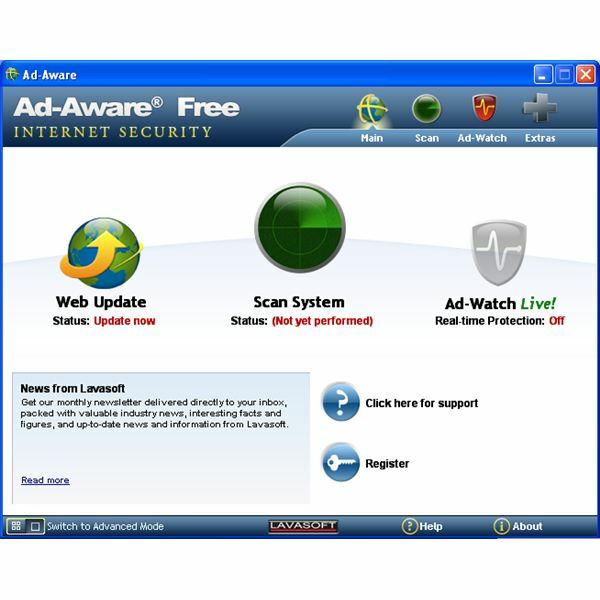 Ad-aware aims for the user to be able to browse the web, enjoy rich media and go about their daily online business in safety, and does this by providing a free anti-virus, anti-spyware and anti-malware system that detects and removes password stealers, keyloggers, virus, spyware, rootkits, trojans, and any other tools that might be used by online fraudsters. Since this is one of the most used adware and spyware removal tools available, no kit should be without it. In addition to the perennially popular Ad-aware, you should also consider the following utilities. When used in conjunction no spyware threat will be able to pass undetected. 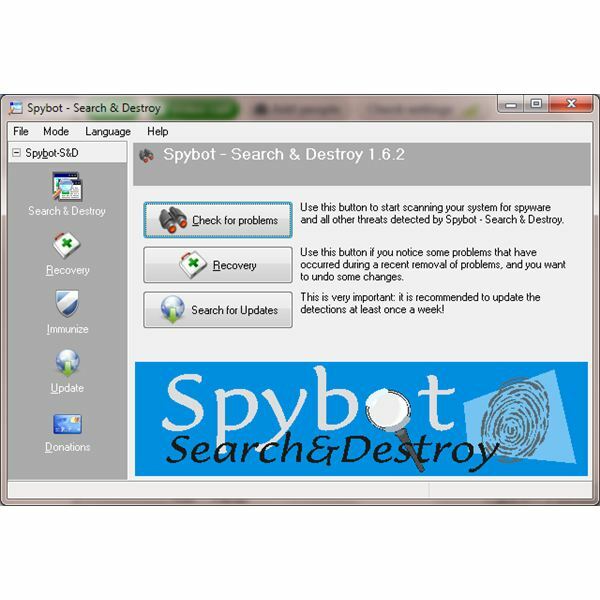 Spybot Search & Destroy – For deep cleaning scans for spyware, you need Spybot Search & Destroy, a free utility that offers excellent functionality. This tool is so well-regarded that some users will use it exclusively. Designed to remove the spyware that hijacks your browser homepage, adds toolbars to your browser that you didn't install and prevent your data from being farmed and sold on for profit, Spybot Search & Destroy will also find spyware that is less obvious. In fact Spybot – Search & Destroy Personal Edition can be ordered from the developers pre-installed on a bootable CD, which is a useful backup option to have. HijackThis – A useful addition to any recovery disk, HijackThis will help you find problems in the Windows system registry, allowing you to track down specific threats on the PC. When run, HijackThis will scan your PC and display a list of files and folders that have been changed by spyware. Using the tool is easy, and you can run it "out of the box" after installation without changing any of the defaults and still achieve favorable results. Compatible with Windows 98 or later operating systems and Internet Explorer 6 or later, HijackThis also features a process manager tool that can be used to shutdown running processes (such as suspected spyware) on your PC. You might also consider keeping an archive of some more specific adware removal tools such as VunduFix, which removed the Vundu adware Trojan. But How Do I Make the Disc Bootable? There are various ways in which you can make a disc bootable – they all require additional software and might even depend on the version of Windows that you are using. Generally speaking, however you need a utility that will allow the applications (your recovery and adware tools) to be launched direct from CD rather than installing them. There are several such tools that can assist you with this, such as BartPE or WindowsUBCD. Building a BartPE disc and running scanning tools is covered in our guide How To Create A BartPE Disc.